Personalize gift tags and custom ribbon to wow guests. 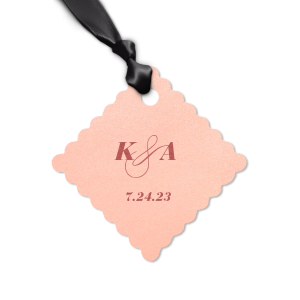 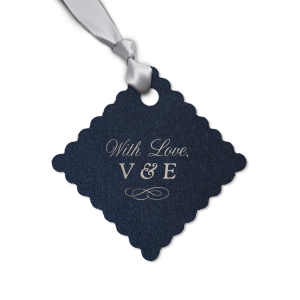 Your party or wedding favors will stand out with these customizable scalloped gift tags. 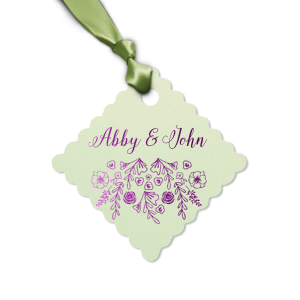 Select a design above or design your own! 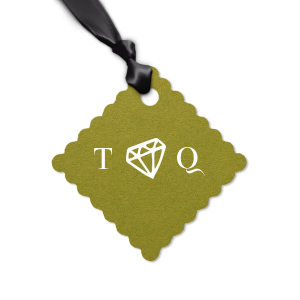 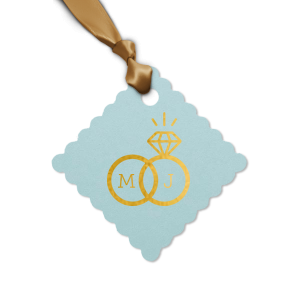 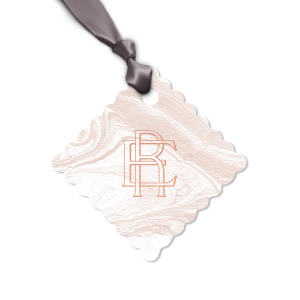 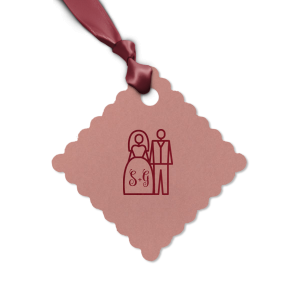 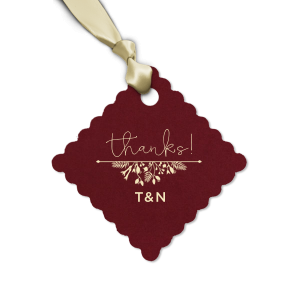 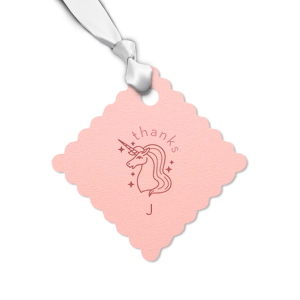 You may also want to check out our full selection of personalized gift tags.